Experience luxury the moment you walk through the exotic, custom doors imported from Poland. 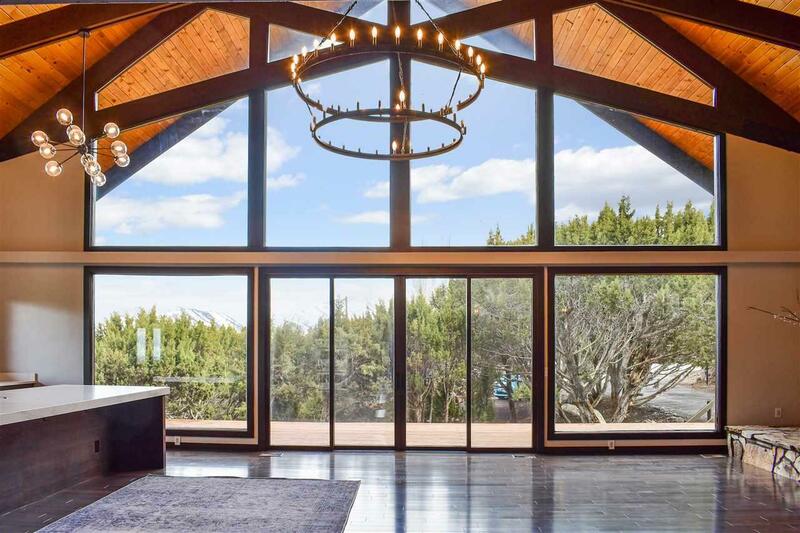 Featuring Bellawood Maple Hardwood throughout the main floor, 30- foot vaulted ceilings, gorgeous moss stone fireplace, and ample natural light through the large windows with a perfect mountain view. The kitchen is a chef's dream where you'll find modern European cabinets, Specchio Tranquility quartz countertops, double oven and gas stovetop. Love entertaining? This kitchen also features a butler's pantry with Delicatus White Brazilian Granite countertops, ample storage space, and warming drawer. 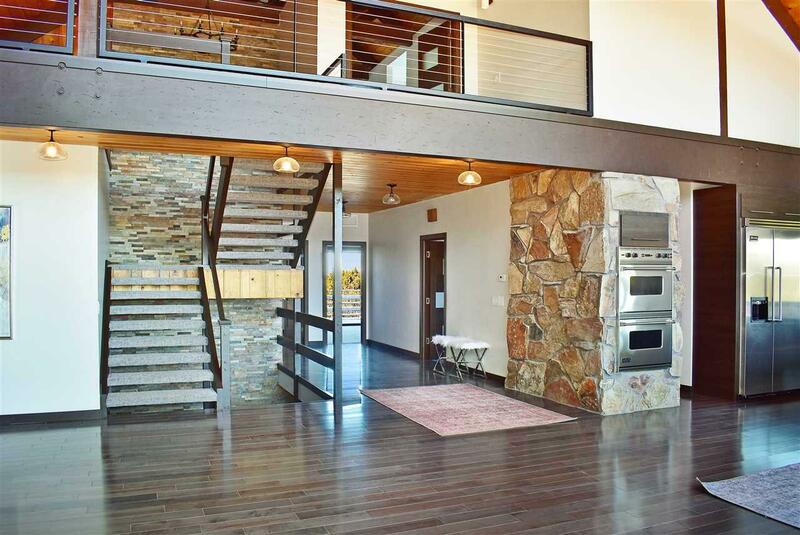 Moving throughout the main floor are 2 spacious bedrooms each with a master bathroom, walk-in closet, and outdoor deck. A third room on the main floor can be used as an office or a bedroom. The master suite makes up the entire second floor with an oversized bedroom, walk-in closets, fireplace and walkout deck. Marble tile, oversized tub and shower, sauna, and an additional laundry room complete the breathtaking master bathroom. Reclaimed barnwood creates a warm, cozy feel in the basement. 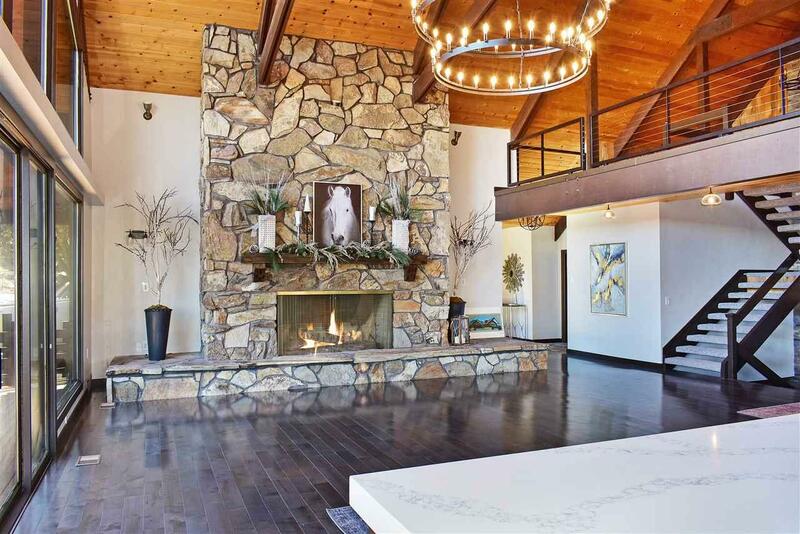 Make memories gathered around the large fireplace, watch the newest movie or enjoy an afternoon of gaming in the hightech media room. And you won't have to go far for snacks with a second kitchen nearby. Also featuring a separate one bedroom, one bath mother-in-law suite. 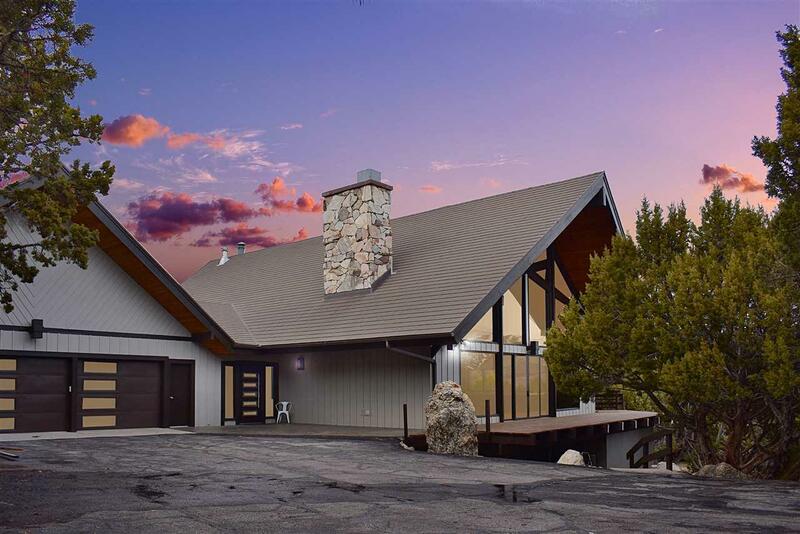 This spectacular home is nestled on over 1 acre surrounded by juniper trees, moss stone landscape boulders, and low maintenance xeriscape landscaping all providing a picturesque, quiet setting in the home of your dreams. Listing provided courtesy of Brandi Townsend of Premier Properties. © 2019 Greater Pocatello Association of REALTORS® Multiple Listing Service. All Rights Reserved.